Business blogs are becoming a necessary element of online marketing and inbound marketing campaigns for businesses of all sizes. Our clients frequently have many questions about how to best build, write, publicize, and maximize their own blogs. So, this three part series will cover the basics of Blogging for Business, from the initial build to making sure you're getting the most out of your blog. This first part covers what to do after you've decided that a blog would be helpful for your business. Be sure to stay tuned for the next three parts of the series. 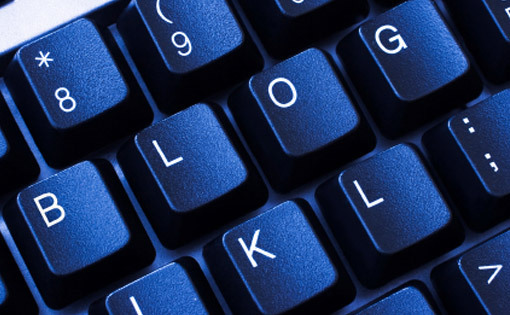 There are many reasons to start a blog for your business. The most beneficial for marketing purposes is the help that it will provide in organic search engine rankings. Each blog post is a new page on your site, meaning a new piece of content for Google to index. The more pages indexed by Google, the likelier it is that your site shows up for a variety of keywords, helping you benefit from the longtail of search results from various posts that you publish. On top of the SEO benefits, there are many other benefits that your blog will provide to your site. First, its a dynamic element that will be frequently update and lead visitors to be more engaged and frequently return to your site. Furthermore, the blog will help establish you as a thought leader in your space and increase your firm's mindshare. Also, by blogging about your company and industry, you will be providing a free and helpful resource to your clients, of which they'll likely be very appreciative. How Do You Know A Blog is Right for Your Business? Do you have industry-specific knowledge that you're happy to share with others? Can you find the time to write at least one post (at least 300 words) every 10 days? Do most of your target customers spend significant time on the Internet, especially researching vendors? If you answered yes to all three questions above, then a blog is likely a good investment of your time. A business blog is a free opportunity to (very) publicly broadcast your expertise, engage site visitors, raise your site's dynamism, and improve your organic search engine rankings. Now that you've decided that a blog is a good move for your business, you need to start taking the appropriate steps to bringing it online. A first step that I always stress to clients is that before you write a single word of your own, take 2-3 weeks to read other popular blogs and industry blogs. By taking time to live in the space, you will gain a greater understanding for good standards on how to write a post, interact with commenters, and what type of content sells well on a blog. During this exploratory period, also be sure to take the time to participate in the blogosphere by commenting on posts, reaching out to other bloggers, setting up an RSS reader, and sharing good posts with friends. This time spent researching the medium will help you become a better blogger, quicker, and it will also help you cement relationships with other bloggers in the space that will then become more likely to link out to you. After living in the space, you're now ready to actually begin the process of getting a blog set up on your site. One of the most important pieces of advice that I can offer for this stage is to make sure your blog resides on your site's domain, meaning the URL of your blog should be something like blog.yourdomain.com or yourdomain.com/blog/. This point cannot be overstated in importance - one of the key marketing benefits of your blog is the Search Engine benefits by the newly indexed pages and also the Page Rank juice generated by inbound links. If your blog is hosted on a third party domain, such as myblog.wordpress.com or myblog.blogspot.com, even though you may link to it from your main site, your actual domain will not reap any of the SEO benefits associated with the blog. There are many ways to launch a blog on your domain. First, check out if your current Content Management System offers a blogging module, which it should (shameless self promotion: ours does). If your site isn't currently on a CMS or it doesn't have blog publishing capabilities, then I recommend checking out WordPress. They have an easy five minute installation to get a WordPress blog enabled on your domain, allowing you to easily publish your new blog to your current site domain. A business blog is a big commitment. The SEO value and the thought leadership value potential is big. But, any business who considers a blog should develop their strategy, which includes the staffing and maintenance of the blog. Starting a blog is easy. Maintaining it is hard. Like anything hard, if it's worth doing, it's worth planning and committing to. @Rick thanks for the comment and I'm glad you enjoyed the post. InboundMarketing.com could be a great resource, I'm looking forward to watching (and helping) it mature. It already drove several dozen folks to this post. @Bernie You couldn't be more right. That's why I think a necessary first step is to actually spend time observing the space, so you fully understand the commitment business blogging takes. However, if you make a concerted effort, it'll definitely be worth it in the end. Here at NMC, we have a schedule, ensuring people post fresh content to our blog almost daily. Congrats on deciding to start the blog! I think the mobile/texting industry provides plenty of interesting news and information to blog about. I can also envision you having a lot of keyword rich posts that drive organic traffic to the site. When you use WordPress, just be sure that the blog is also hosted on your domain, so your domain benefits from all of the hardwork you are putting into the content. Great Post! I have just started blogging myself and also recommend it to clients and I have to agree it's a good way of increasing ranking to a site. Glad that you enjoyed the post. Congrats on launching your own blog. The one thing to remember is that the ranking increase will not happen overnight, so its important to not get discouraged and to keep creating good content. Very informative post! Really thanks for sharing.It viewed me to a lot of opportunities. Great advice. Every business should have a blog whether small business or corporation. Thanks for an inspiring post about business blogging, I just found out another excellent pitch about how to start a blog. WANT ME TO HELP YOU MAKE YOUR BUSINESS ADS, BUSINESS CARDS, POSTERS, ETC. DR. CHRIS GETHARD LOAN Services will give you loan with an affordable interest rate of 2% and loan duration of 1 to 30 years to pay back the loan (secure and unsecured). It will be a great joy to us when you are financially stable.